Mezcal piñas are roasted or grilled over hot rocks in covered conical pits (called palenques or hornos; 5-8 feet deep and 12-15 feet across). These are lined with stones or fireproof bricks. A fire is started in the pit, and burns for about 24 hours to heat the stones. Then the piñas are placed in the pit and covered with moist fibre (left over from the previous fermentation, and containing natural yeast residues). This is then covered with a layer of agave leaves or woven palm leaves (petates: woven palm fibre mats), and earth during the two-three days of cooking. The sugary juice of the cooking magueys acts as a glue to seal a new a palenque. Tequila is produced mostly in the western Mexican state of Jalisco, appropriately much of it is made in or near Tequila, a small town about 40 miles (65 km) west of the capital, Guadalajara, on Hwy 15. The other major tequila region, called Los Altos, or the Highlands, is a little further away, about 135 kms (84 miles) to the northeast. Jalisco is 31,210 square miles in size, or 4.1% of the total area of Mexico. Its borders touch seven other Mexican states. There are 124 municipalities (counties or regional governments) in Jalisco. Many of the things that are considered as typically Mexican, such as mariachi music, charreadas (rodeos), the Mexican Hat Dance, tequila, and the broad-rimmed sombrero hat, are in fact derived from Jalisco's rich cultural heritage. Jalisco is by far the largest grower of agaves and producer of tequilas: more than 80% of all blue agave is in Jalisco. The total number of agaves planted from 2000 to the end of 2006 was just over 394.68 million - more than 336.338 of them in Jalisco. Jalisco is the only state where tequila can be produced and the blue agave can be grown throughout the entire state. of the 180 counties permitted in the NORMA, 124 are in Jalisco. In the four other states only a portion of each is allowed to grow blue agave or produce tequila. Jalisco has wide range of terrains, from the rugged mountains and gullies of the north east, to the gentle beaches and bays of the west. Tequila reminds us of a particular world, a world that was born of shared imagination - a wild, rural landscape of robust men on horseback, accustomed to difficult tasks... A powerful shadow, that of the mountain also called Tequila, falls over this great region. That terrain of hard beauty is as hypnotizing to contemporary travellers as it was in centuries past. 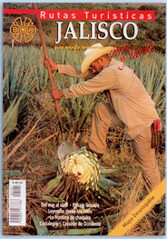 From Jalisco, Tierra del Tequila, published by Artes Mexico, 1995. Many visitors know the state for its Pacific coast resort town of Puerto Vallarta. 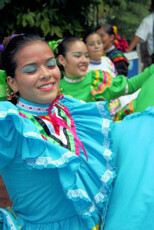 Jalisco also has mining, manufacturing, arts, crafts and jewellery industries. The state has a population ( as of 2005 census) of 6,752,113 people, of which roughly 5.5 million live in the urban areas around the capital, Guadalajara. Guadalajara is a colonial city, and Mexico's second largest city after Mexico City. Most of Mexico's tequila-producing communities are in Jalisco, as well as almost 85% of the blue agave in Mexico because Jalisco is where the industry began. These communities lie on a roughly east-west axis that starts east of Arandas, passes southwest through Guadalajara, and reaches northwest to Magdalena in the west. The two main areas of production lie in the valley around the town of Tequila, and in the highlands (Los Altos; near Atotonilco and Arandas) to the east. Most of Jalisco state where tequila is made is a high plateau that averages 7,500 feet above sea level, with sandy, mineral-rich red soil in the highlands, and black earth in the valleys. It is a mountainous, hilly region - but agave grows best above 1,500 metres. The altitude of the tequila-growing regions is 1,500 meters above sea level and higher. The is generally volcanic, loamy, permeable and abundant in derivative elements of basalt and enriched in iron. Precipitation is close to one meter per year. The climate is a constant, semidry with cloudy skies only 65 to 100 days a year. The hills of the surrounding area are covered in agave farms sporting more than 300 million plants in spiky rows, 1,000-2,000 plants to an acre, covering more than 50,000 hectares (about 100,000 acres). The agaves were originally harvested in only three small valleys around the towns of Amatitan, Arenal and Tequila. Today about 38,000-40,000 people work in the industry, about 33,000 of them farmers and field hands. More than 50 million gallons (almost 200 million liters) of tequila are produced annually - about 40% of it exported. The name "Jalisco" is believed to be derived from the Nahuatl words "xalli" (sand, gravel) and "ixtli," which means "face," or by extension, plane. Thus, the word Jalisco would literally mean "sandy place." Jalisco was originally part of New Galicia before it became part of greater Mexico in 1821. In New Galicia, the district around the town was also called Tequila. The town was founded under commissioner Juan Calero de Escarcena, in April, 1530, at the base of an extinct volcano that rises 3,000 meters above sea level. It was named the capital of its district in 1570 as it began to grow and develop its agricultural economy. Tequila was made a municipality in 1824. The area was named as the 12th district of Jalisco in 1872, and two years later, the town finally became a city in 1874. Today it has a population around 35,000. Since its founding, in 1542, Guadalajara, because of its strategic location within the Spanish colony, became prosperous as it funneled imported goods - both legal and illegal - to other parts of the colony. The War of the Reform, at its peak in 1859, paralyzed the economy of Jalisco as opposing sides clashed frequently in the state. Of the 30 major battles of the War of the Reform, 12 took place in Jalisco. A large segment of southern Jalisco, including Guadalajara, were devastated, leading to a mass migration of middle class persons. So important to the area is tequila, that the local university (University of Guadalajara)offers a course in tequila engineering. Of the 100 tequila distillers currently in business, only two are not located in Jalisco. Most of the producers are found near Tequila (including Amatitan and Arenal) or the highland region, Los Altos. A tourist train - the "Tequila Express" - now travels from Guadalajara to Amatitan (no longer to Tequila, where passenger service was discontinued), laden with Japanese and Canadian visitors. Travellers on the train tour the Herradura plant in Amatitan. 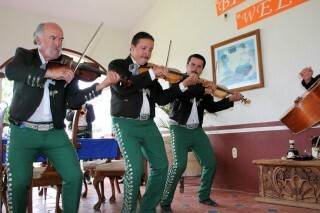 They are met by the sounds of a mariachi band as they arrive to tour and sample the wares. Until the late 19th century, the agaves were roasted in stone-lined pits in the ground, heated by wood fires, as mezcal is made today. As demand for tequila grew, producers found they were running out of both wood and agave. 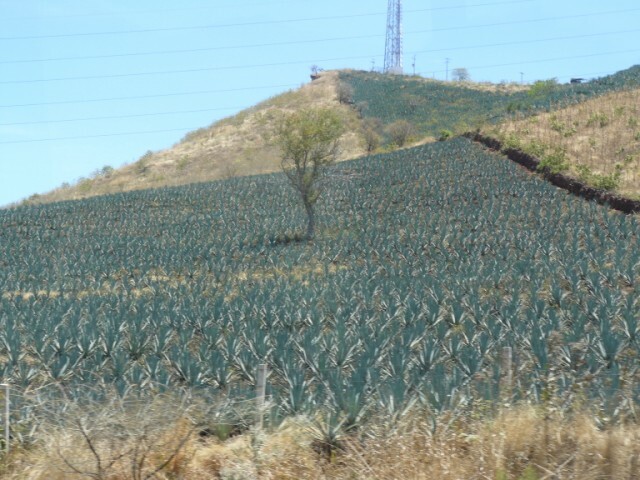 As Jalisco's hills were progressively deforested by the demand for wood, it cleared new land for agave planting. Producers realized their method of production was no longer sustainable. The above-ground, steam-heated horno, or oven was developed to replace the traditional in-ground pits. Although the original ovens also used wood to heat the boilers, they did not demand as much fuel as the traditional pits. By the end of the 19th century, all manufacturers were using the above-ground ovens. To counteract deforestation across Mexico in this ear, the Mexican government passed forestry legislation to slow or even stop the loss of trees. The first law was passed in 1884. "...the area available for traditional food crops is falling, and the intensive farming is leading to soil erosion. "South of Jalisco is the nucleus for the greatest diversity of traditional varieties of agaves in west-central Mexico. The diversity and the traditional products that it supplies are part of the cultural heritage of Mexico and should be conserved." Agave tequilana is harming the genetic diversity of other agave species.